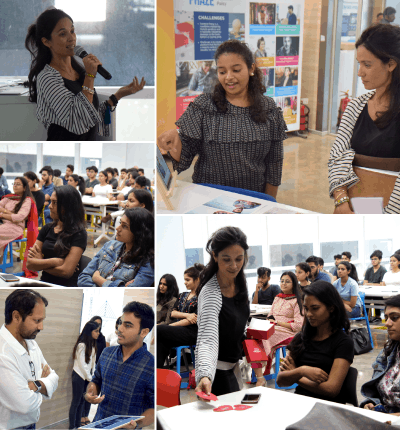 Preplacement Talk 2019 Day 4 was with Ms Tina Mehta, Brand Strategist at Lightbox. Ms Mehta addressed our students on the eclectic mix of careers that students can choose in the design industry. Lightbox being a frontrunner, students were extremely excited to know how they could learn from the leaders at the firm and work towards creating a difference for brands and people.